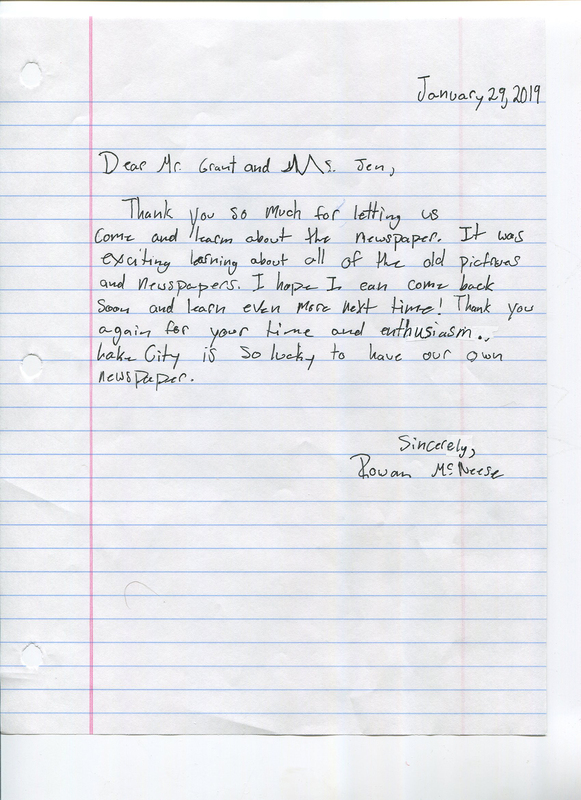 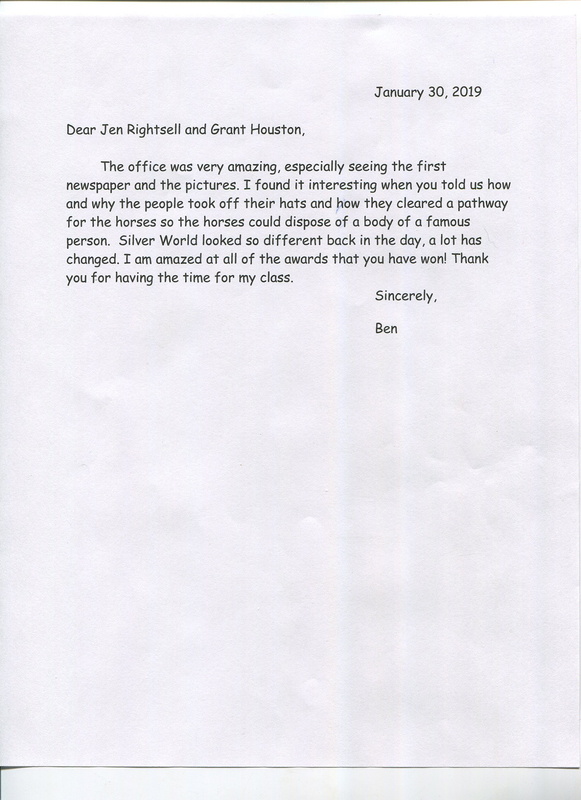 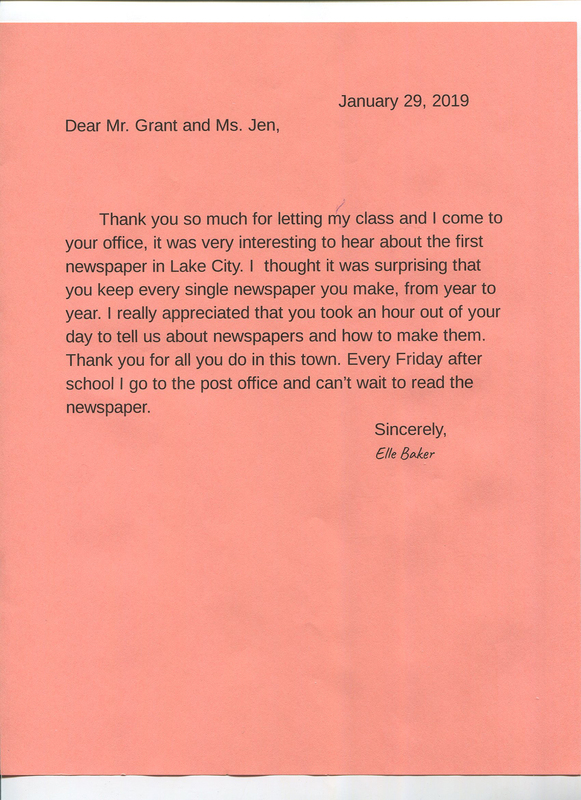 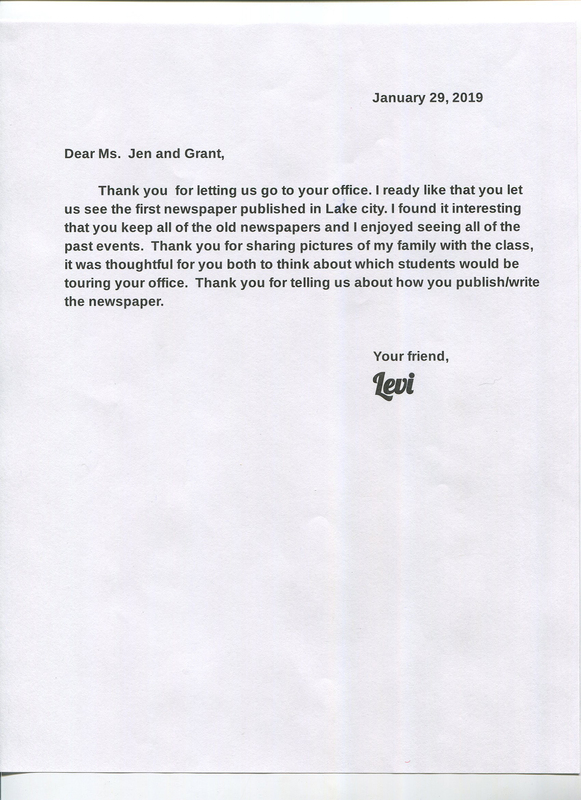 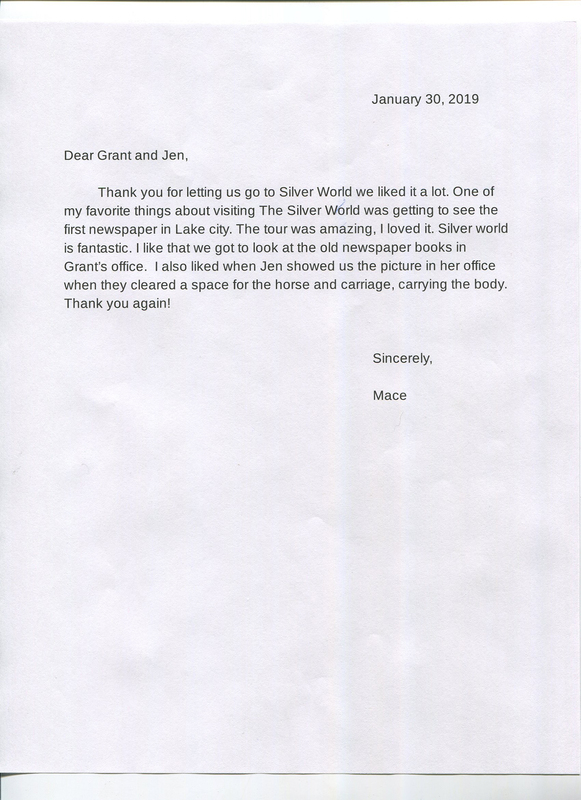 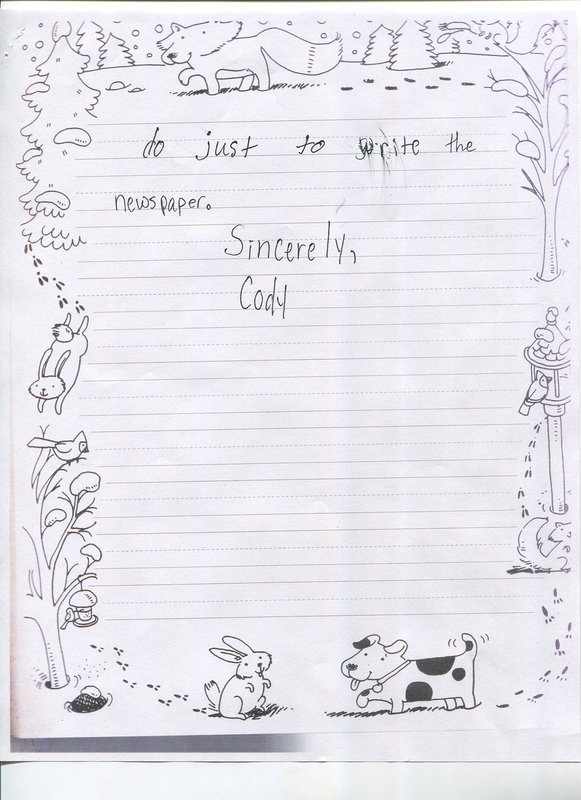 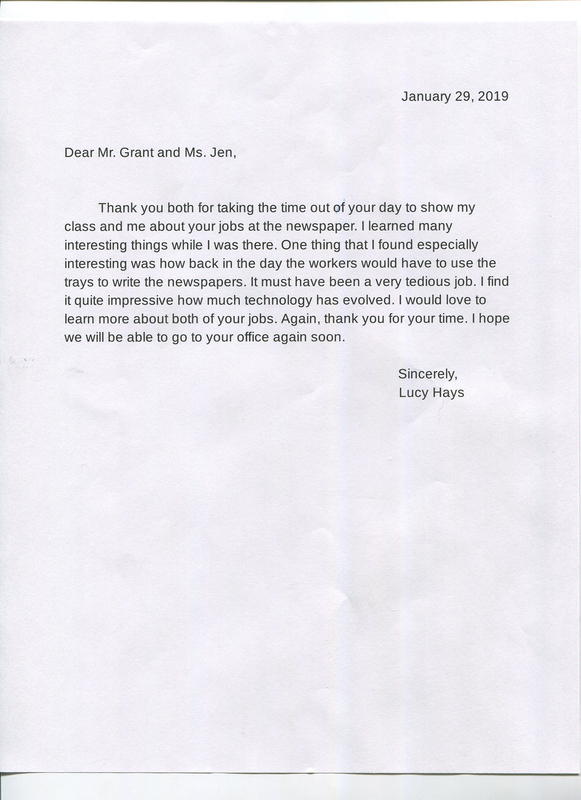 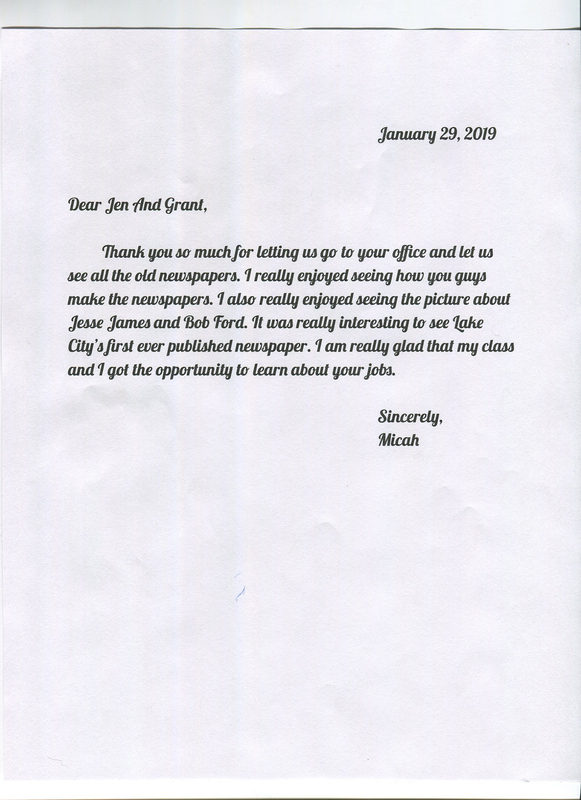 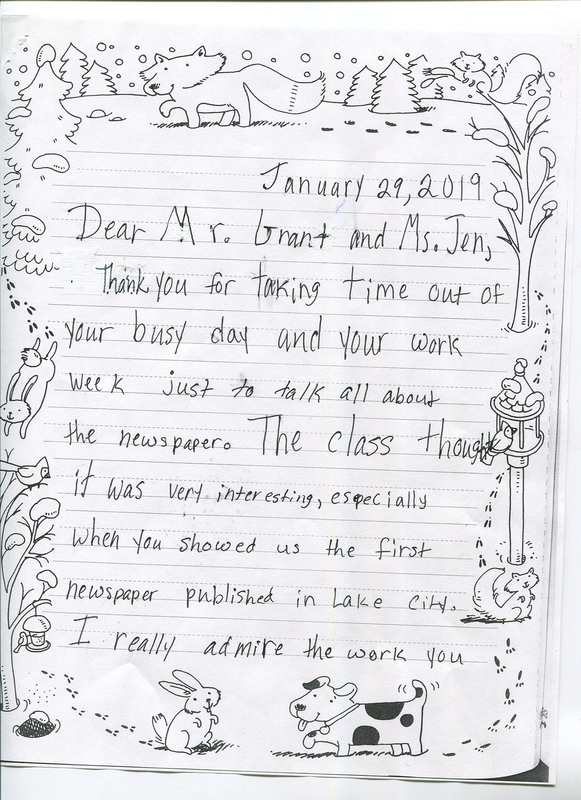 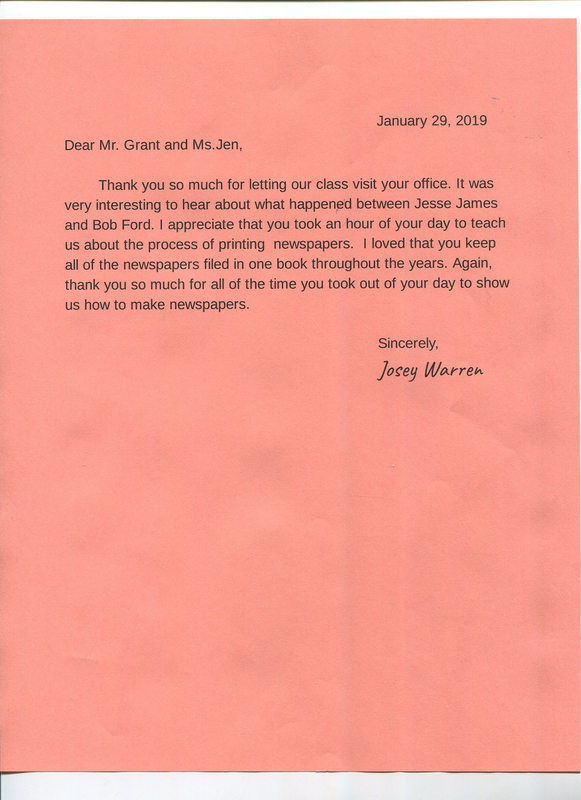 Aspiring journalists in Jennifer Rhinehardt’s 4th and 5th Grade classrooms at Lake City Community School are preparing to restart their classroom newspaper and on Friday afternoon last week paid SILVER WORLD office a visit to compare journalistic notes. 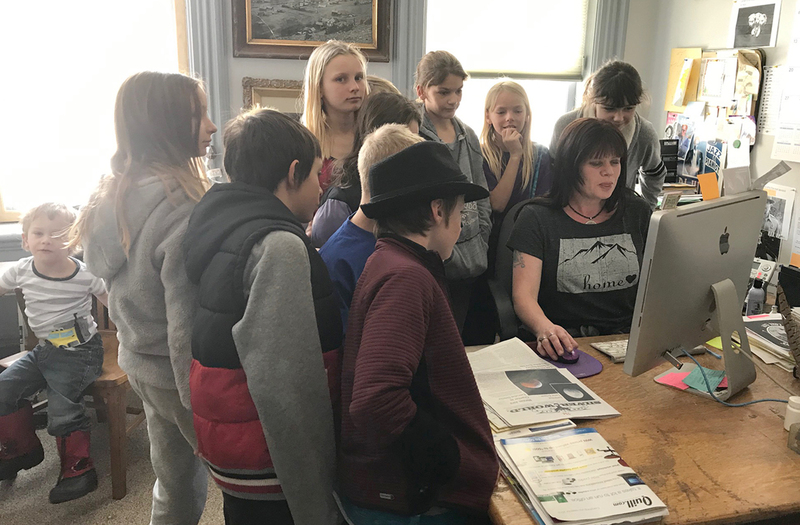 Student reporters, columnists and layout designers are pictured above surrounding WORLD Production Coordinator Jennifer Rightsell’s desk as she explains the intricacies of producing a weekly newspaper. 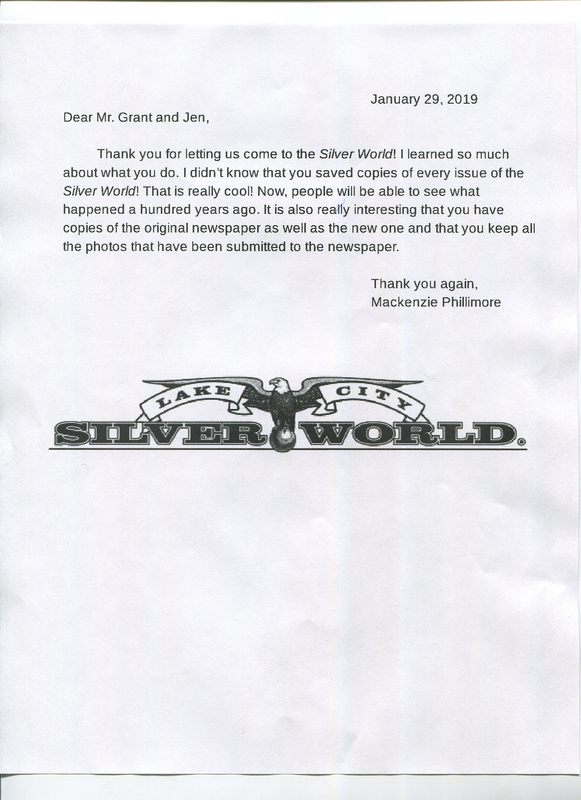 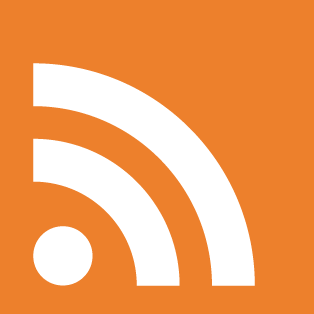 As part of the discussion, Rightsell and WORLD Editor Houston compared today’s product with an 1880 edition of the WORLD with text and headlines which were laboriously handset one letter at a time.